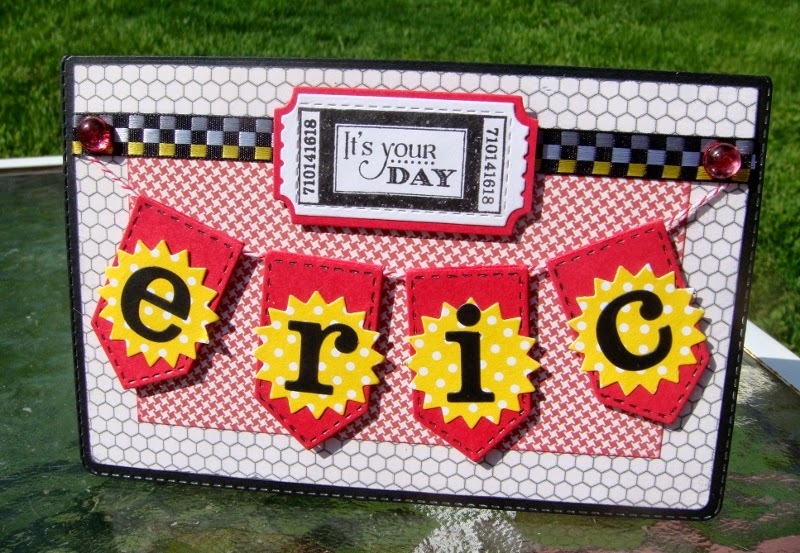 I don't have any wobbles, so I added foam squares to my card to pop up the sentiment and the banner. Now don't tell, but this is for my nephew, Eric, for his upcoming birthday! Hope you'll join in the challenge this week. 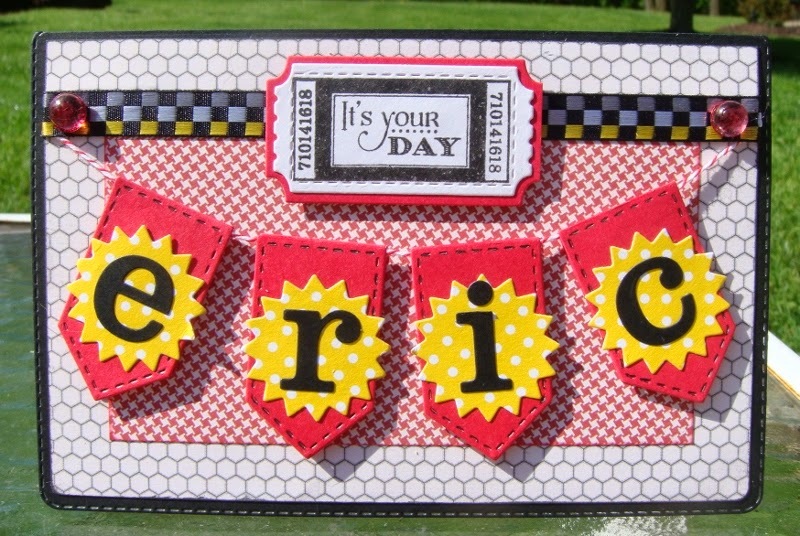 Make a card, layout, or project using a Wobble. But if you don't have a wobble, then add dimension to your creation. Link your post back to the Die Cuttin' Divas web site. What a very pretty card!! Love the banner!!! Have a great day. I think this banner is FABULOUS! I could make one too and use my son's name (Kyle) since it is 4 letters. Great card - your nephew is going to love it! Fun! Fun! Fun! Love your banner!